In 2017, Lighting Design Lab announced that it would discontinue its qualified products list (QPL) and take its final product submittals. Over the past few months, the Lighting Design Lab QPL has gradually dwindled as product listings expired. Final listings are scheduled to expire on or before July 31, 2018. 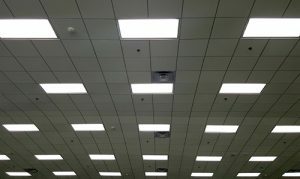 While the Lighting Design Lab LED QPL will no longer exist, the Design Lights Consortium® list includes equipment efficiency standards that must be referenced for qualifying LED fixtures to receive Energy Trust incentives. For example, LED Case Lighting Requirements specify that LED fixtures must be on the Design Lights Consortium Product List in refrigerated categories (see page 7 of the 2018 Standard Incentive Brochure – Oregon for details). For more information, contact a lighting specialist at 800.326.2917, or Aaron Leatherwood, program manager.